Experience an authentic recreation of Lisbon´s popular neighborhood taverns where fado was born and where, to this day, fadistas are made and recognized by their peers. In the heart of the Ironbound section of Newark known as “little Portugal” we will create a traditional Fado House experience in an intimate setting with live music direct from Portugal and with Portuguese food and wine, under the direction of Lisbon´s famed Fado House “Maria da Mouraria”. 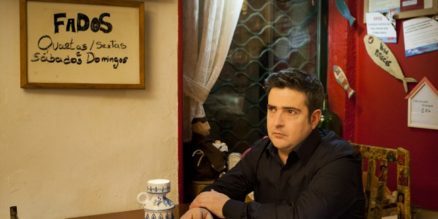 Each of the four nights will highlight different repertoires and will feature Helder Moutinho, a leading male fadista who is an acclaimed interpreter with deep roots in the fado house milieu and a successful onstage career in Portugal and abroad. Teresinha Landeiro a rising female voice and a fado house performer will join him.